Home » General Nilai (News) , Property Nilai (News) » Why home buyers are investing in Nilai? Why home buyers are investing in Nilai? NILAI: INVESTMENTS in the property sector can yield healthy returns over the long term, especially if the project has good infrastructure, facilities and connectivity, and is developed by a recognised and reputable developer. It is highly likely that the price of the property will appreciate even after 10 or 15 years. If you speak to property experts they would tell you to buy from a reputable developer, one with good track record, not forgetting the property mantra - location, location, location! They may also suggest that you buy in a good location, naming four common “hot” areas - Kuala Lumpur, Petaling Jaya, mainland Penang and Johor Baru. Now, there is another location that can be considered - Nilai. As Negri Sembilan is coming up with the Seremban 2 development and Malaysia Vision Valley, Nilai, which is home to Nilai 3 Wholesale Centre - Malaysia’s largest wholesale hub, has big potential to join the list of the “hot” location. 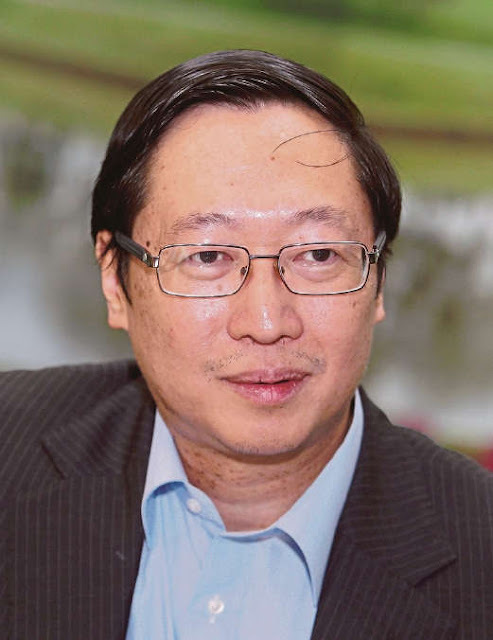 Nilai Resources Group Sdn Bhd group managing director Datuk Gan Eng Hong said Nilai was growing fast due to its proximity to the city centre, excellent connectivity with major highways and short distance to the Kuala Lumpur International Airport in Sepang. It is also a short-distance away from Sepang F1 Circuit, Sepang Gold Coast and Mitsui Premium Outlet. “Nilai is the place to be for work, study, play and live. Thanks to infrastructure development, it now takes between five and 45 minutes to travel from Nilai to Seremban, Putrajaya, Cyberjaya and the Kuala Lumpur city centre. “Young graduates, Gen Y and retirees, as well as local and foreign investors should consider investing in property development projects in Nilai as they offer value for money. “There are a lot of foreigners buying commercial properties in Nilai. This indicates the growing confidence they have in the town,” Gan told NST Property. He said foreign investors made real estate purchases when they had extra money to spend, adding that they kept their investment for long term with the hope that they might move there later, he said. “And when they do, that is when they start buying residential properties for their own stay. Right now, they are buying residential properties and renting them out for recurring income purpose.” According to Gan, most of the foreign investors purchase residential properties priced between RM500,000 and RM1 million. Should you buy in Nilai? Nilai, which was previously a village area, has been prospering with new townships, such as Bandar Enstek and Bandar Baru Nilai. New townships started emerging after the Negeri Sembilan government implemented a plan in the early 1990s to turn Nilai into an educational hub and research centre. Nilai Resources was the earliest developer to set foot in the former oil palm estate in 1991 when it embarked on a project - developing an industrial estate and a residential township known as Taman Semarak. It moved on to the Putra Nilai township (formerly Bandar Baru Nilai) through subsidiary BBN Development Sdn Bhd. The 2,522ha township did not attract much interest initially because of lack of infrastructure. In addition, those who had purchased units there were reluctant to move in due to high crime rates. Houses were left abandoned and some home owners started to sell their units way below buying prices. But all that has changed now. Today, Putra Nilai has an estimated 100,000 residents. The township features diverse property compositions ranging from affordable terraced houses to exclusive bungalows. It also enjoys great infrastructure, highly developed transport links and modern telecommunications facilities, making it a sought-after development by seasoned investors and entrepreneurs. Nilai is also home to the Nilai Cancer Institute, Nilai University, INTI International University, Nilai Polytechnic, International Islamic University Malaysia’s medical faculty, Manipal International University, Murni International Nursing College and Britain’s Epsom College. Gen Y are buying in Nilai Gan said one of the main driving forces for the rapid growth of Putra Nilai was its excellent connectivity. Although a lot of developments had taken place, buyers, especially the Gen Y, were looking at properties in Nilai as they were more affordable for them, he said. “They see Nilai as a basket of opportunities as the property prices there are relatively affordable compared to the Klang Valley. If you compare prices, Bangsar Heights in Kuala Lumpur is selling for RM1,000 per sq ft (psf) while a similar property in Nilai is priced at about RM50 psf. “A terraced house in Kuala Lumpur or Petaling Jaya is selling for around RM1 million while in Nilai, you could get something of the same size for RM600,000. This tells you why the Gen Y are heading to Nilai. “Property is always a good place to put your money in. If you have extra money, invest in a property and make Nilai one of your options,” he added. Gan said even in a volatile economy, properties would remain a good hedge against inflation. However, he still advised home buyers and investors to be cautious when making real estate purchases. “If you are an investor, do a bit of research and think about your investment for a while before putting your money into properties. If you are a home buyer, plan first what you intend to do with the property,” he said. Gan said Nilai had great potential because of the location and as it was benefiting from government plans. As part of Malaysia Vision Valley, envisioned under the Eleventh Malaysian Plan, Nilai will benefit from some RM400 billion of investments expected to flow into the development over the next 30 years. Foreign investors were aware of the plans by the government and the ambitious Malaysia Vision Valley and that was why they were looking at Nilai, said Gan. A group from China has been reported to set up its operation at a 20.2ha site at the Nilai icon city, a new area that caters to multinational companies planning to expand to Malaysia. Mushrooming developments Over the years more developers have ventured into the property market in Nilai as they are bullish on its prospects. The big names include Sime Darby Property Bhd, Ireka Group, Mesa Hills Group and PNB Development Sdn Bhd. Sime Darby Property started developing in Nilai in the late 1990s, despite parent Sime Darby Bhd owning large tracts of land there for the past decades. It started with Nilai Impian, launched in 1997 (initiated by Negara Properties Bhd before it merged with Sime Darby Property) and today, the development is a sought-after development by people living within Negri Sembilan and Klang Valley. Nilai Impian, which is directly linked to the North-South Expressway (NSE), occupies 732ha of lush green landscape and has a gross development value (GDV) of RM5.9 billion. In 2015, Sime Darby Property launched the new Nilai Impian interchange, providing communities with better access to the township and adjacent areas. The new interchange was built as a joint initiative between Sime Darby Property, the Malaysian Highway Authority and PLUS at RM30 million. Thanks for reading Why home buyers are investing in Nilai?